September’s Featured Chess Set is a one-of-a-kind creation designed by Boy Scout Chandler Francis. He produced the set and board at the blacksmithing pavilion and Sinquefield Invention Lab at the Lake of the Ozarks Scout Reservation, Great Rivers Council, which is located outside Laurie, Missouri. Established in 2017, the Sinquefield Invention Lab is named for its founder Dr. Jeanne Sinquefield and has the mission “to facilitate hands-on education and invention of new ideas and technologies, while utilizing problem-solving skills, creativity, and imagination in a team environment. It features a number of tools to foster creativity, including 3D printers, laser engravers, and the epilog laser used to create the board for this set. Sinquefield, who is passionate about the Boy Scouts and was instrumental in the creation of the Boy Scouts of America chess merit badge, is a co-founder of the Saint Louis Chess Club and along with her husband Rex, provided the seed funding for moving the World Chess Hall of Fame to Saint Louis. King size: 3 ⅜ in. 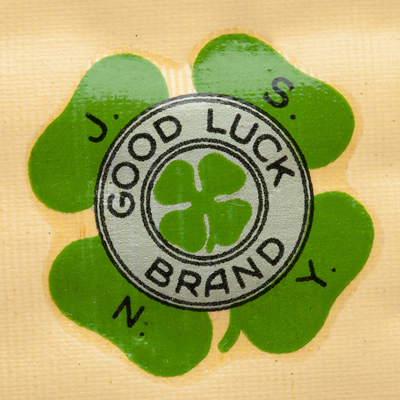 Board: 11 ¾ x 11 ¾ in. 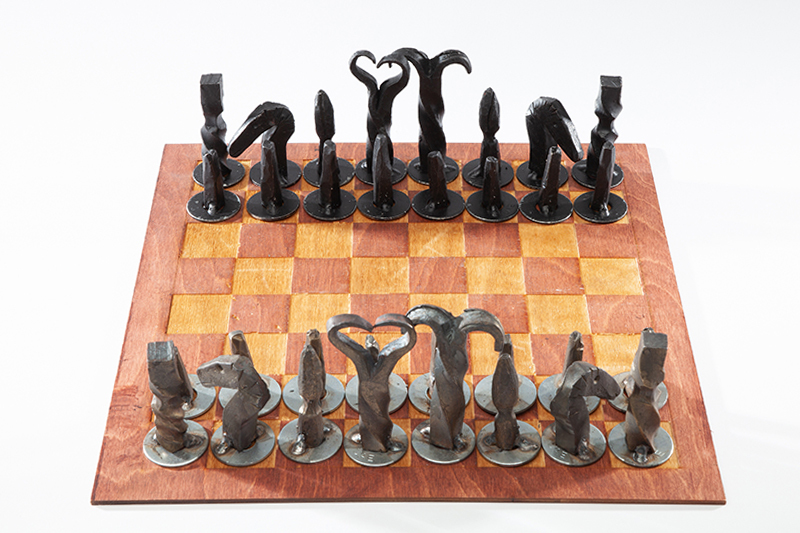 Chandler Francis created this unique chess set in order to earn his metalworking merit badge. Earning this merit badge requires learning about alloys, metalworking techniques, and safety as well as choosing one of the four options of sheet metal mechanic/tinsmith, silversmith, founder or blacksmithing and completing a project. With the assistance of camp counselor and metalworking merit badge counselor Justin Tattich, Chandler Francis completed this blacksmithing project. Though scouts are usually only required to create two objects, Francis is passionate about chess and chose to create a full set using a variety of smithing techniques. The set, which is paired with a board made on an epilog laser, brings together old and new skills.